Steel major JSW Steel is planning to reduce import of iron ore to its Karnataka facility as it starts new captive mines in the state. A price correction made by NMDC is another key factor. 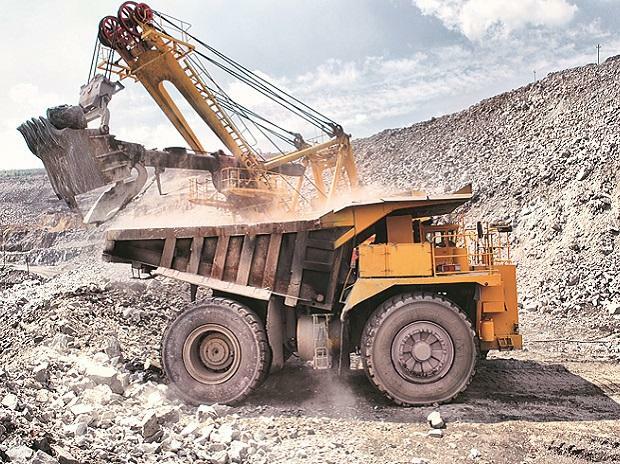 The development comes at a time when local miners have been alleging that JSW is not procuring enough from Karnataka, leading to pile-up of inventory. Seshagiri Rao, JMD and Group CFO for JSW Steel said the company is procuring iron ores from other sources due to high premium and pricing in Karnataka. In the last few years, there has also been a production shortage. Company's 12 million tonne (MT) steel plant in Karnataka requires around 22 MT of iron ore. Total permitted iron ore production in the state is 35 MT, apart from category C mines. Earlier it used to be 30 MT. Production in 2018-19 is estimated to be around 28-29 MT. While JSW's requirement is 22 MT, other companies in the state together have a requirement of around 12-15 MT. This has led to a shortage in the last few years. While total requirement in Karnataka is 40 MT, there is shortage of supply of 10 MT. Last year the production was 27 MT only, Rao said. JSW plans to meet its iron ore requirement through new captive mines that have a total capacity of around 4.3 MT. The company had invested around Rs 3-4 billion in captive mines. Besides, the company is also planning to bid for new 7-8 mines, which will have total capacity of around 2.5 million. While this will address the supply issue, the pricing problem is also being corrected. Karnataka has the lowest grade iron ore but charges the highest premium. For example, Rao says, for every one per cent alumina, internationally there is a $8 difference, besides high fuel cost and low productivity. Compared to Chattisgarh, prices in Karnataka are higher by Rs 700, while Odisha vs Karnataka difference is Rs 2,700-3,000 a tonne due to quality difference. Availability and price correction would reduce import of iron ore into Karnataka, but it won't save any cost advantage. It will only provide a cushion in terms of reliability. "We had never stopped buying from NMDC. But now we are buying at previous levels," said Rao. "We have been representing to them that there are problems in overall pricing in Karnataka. So they (NMDC) have done some corrections, but they have a long way to go. We are not okay with the current price levels but there is no option," he added. "We need Karnataka iron ore and it is not possible to source 100 per cent from outside." NMDC produces about 12 million tonnes of iron ore annually from its Donimalai mine in the state. JSW Steel buys 60-70 per cent of the ore produced by NMDC to cater to its 12 million tonnes plant at Vijayanagar.